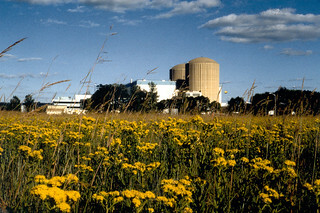 Prairie Island Nuclear Generating Plant, Units 1 and 2. The nuclear power plants are located near Welch, MN (28 MI SE of Minneapolis, MN) in NRC Region III. For information, go to www.nrc.gov/reactors/power.html. Photo courtesy of ©Nuclear Management Co.